Prior to the Friday Gentleman’s Game Cup Series match, Swindaman3 had an interesting bit of words for Diamondhoggers; and although Diamondhoggers felt really confident in Felix Hernandez and Andrew Cashner as his two pitchers for this DFS game of Goliath’s; King Felix laid yet another egg. He’s a damn mess. 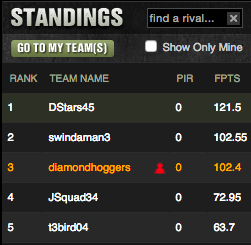 However, Swindaman3 edged Diamondhoggers out for second place by a slim margin of .15 on the night. 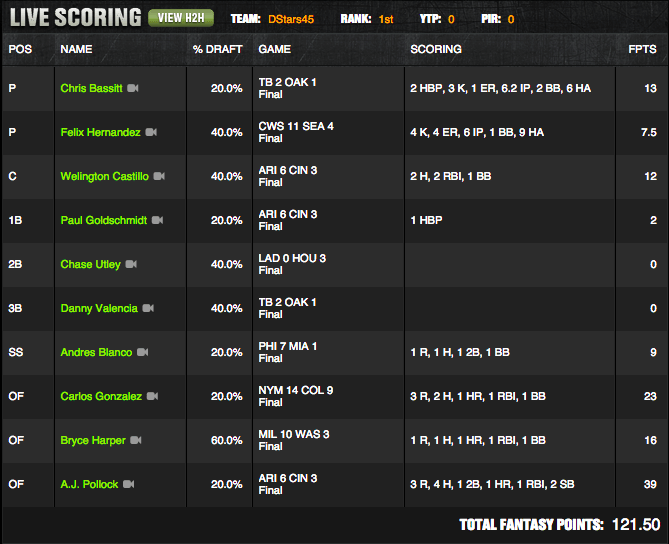 If Swindaman3 is going to taunt me; he better win by more than .15, we would advise….mmmyes. This was ever important to the macro spectrum of the Gentleman’s Game. If Diamondhoggers could have avoided zero’s from three assholes: Jose Reyes, Lorenzo Cain, and Roughnads Odor (he’s Rough Nads as long as he’s going to lay eggs in DFS), it would have catapulted the Hoggers to second place, upsetting a first place tie in the yearly standings. As it was, the ever confident Swindaman took home his four points, and we again have a tie atop the leaderboard! Let’s talk a little bit about DStars’ winning lineup. We’re proud that we had the same thinking in that Felix Hernandez would provide something different. We were the only two gentleman to have that (incorrect) thought. Felix had other ideas. He’s useless this year. Stick a fork in him, do not look his way again. Those light-hitting White Sox fleas beat the snot out of him. Yet another opportunity squandered if only Felix had pitched well; we could have seen two really nice lineups here for two really nice Gents. But it wasn’t all sour grapes for the victor; Dstars45. 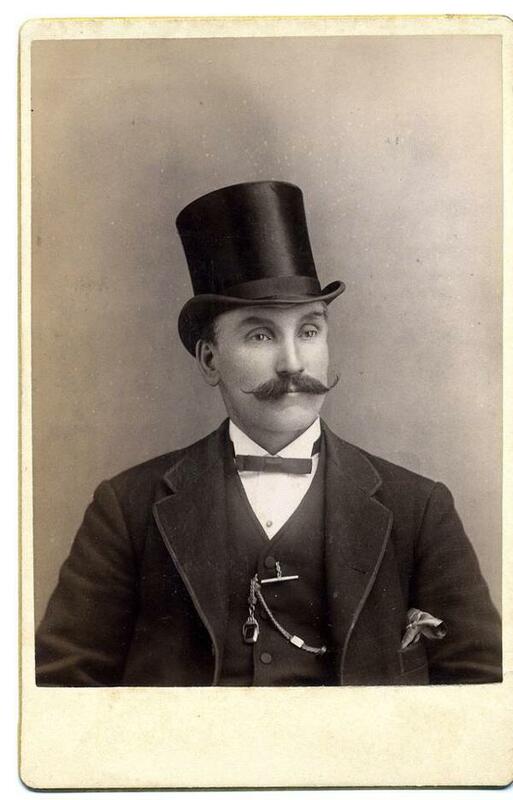 He was the only gent to use A.J. Pollock who was the Gents Game MVP with 39 points. Facing a left-handed squid like David Holmberg in a nice hitters park like Cincinnati; it was dense of the other four gents not to use Pollock. DStars45 also used home runs from the ever-scorching Carlos Gonzalez and the wunderkind Bryce Harper to reach his respectable point total of 121.50. Style points go out to Dstars for using ‘The Bassitt Hound’ of Oakland, who hunted his way to 13 points for a reasonable price, allowing DStars to fit Goldschmidt into his lineup. So what is going to happen next week? Will anyone else be tempted by the dumpster fire that has become 2015 Felix Hernandez? The tie will be broken atop the leaderboard; but whom will rise? Will Swindaman3 once again spend his Friday afternoon throwing text tomatoes at one of the founding fathers of the Gentleman’s game? Will Diamondhoggers find his pride and stay out of the Gentleman’s Game Gutter? Will t3bird04 fly into a daily fantasy window or soar to new heights? Which turds in the baseball world will turn themselves into gems for a night and wear Cinderella’s slipper? You MUST tune in next week to find out. The Gentleman’s Game…. there’s only one DFS competition like it in the world.